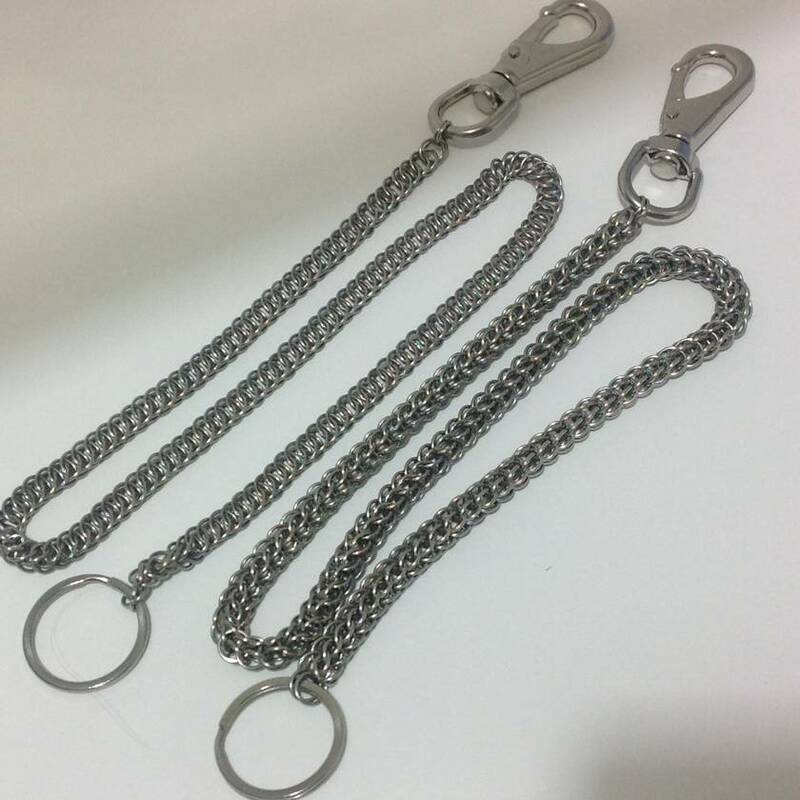 This is for one stainless steel wallet chain that measures approximately 65cm total length, chain is 8mm wide and 8mm thick. 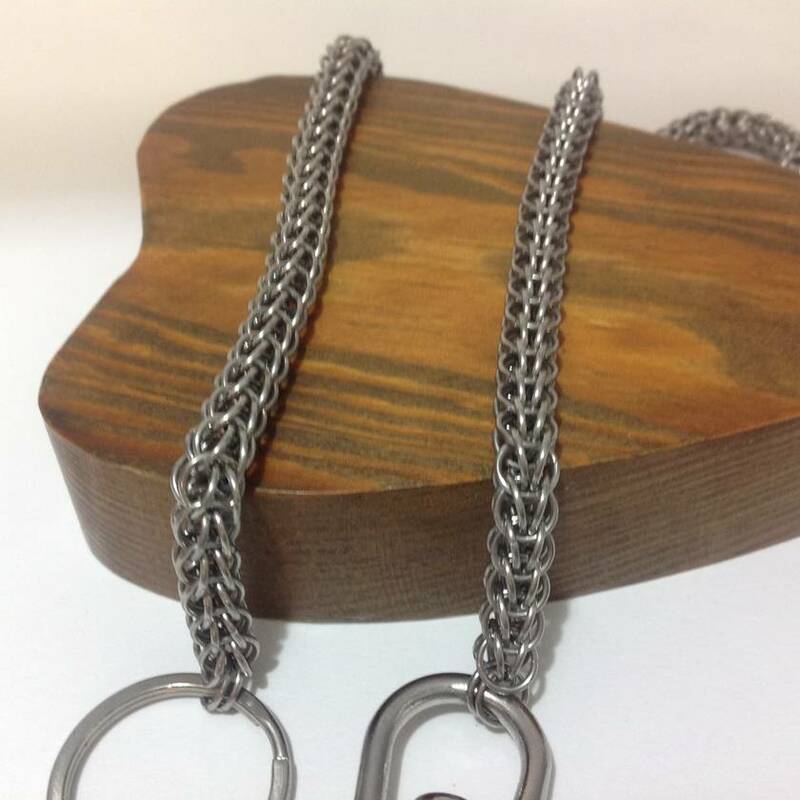 There is two styles of chain to choose from: picture two is full persian chain, picture three is half persian 4 in 1. 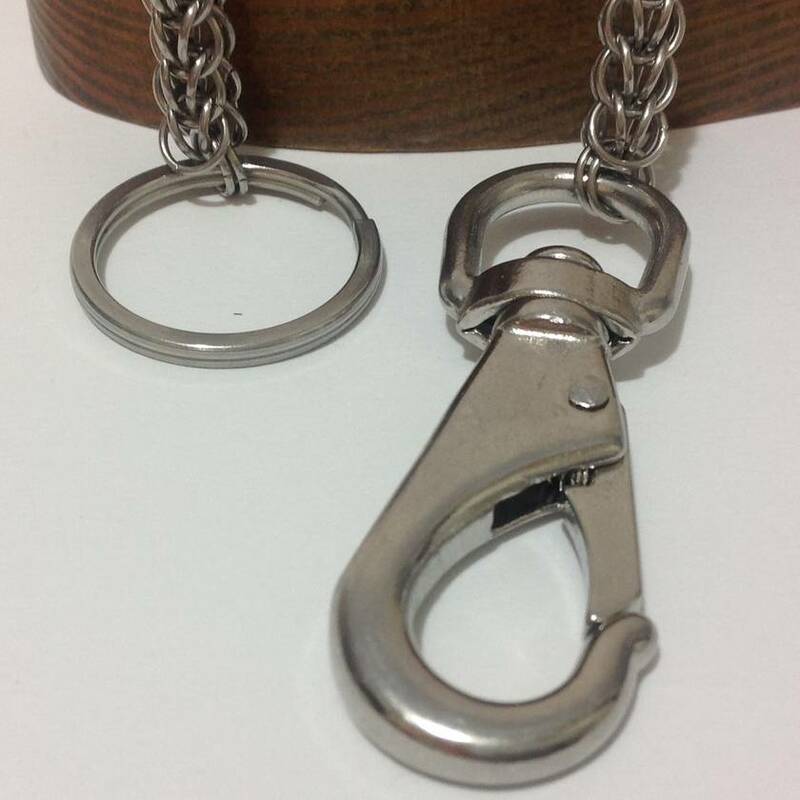 Both chains are made with stainless steel rings that I have put together, the chain is sturdy and stylish. 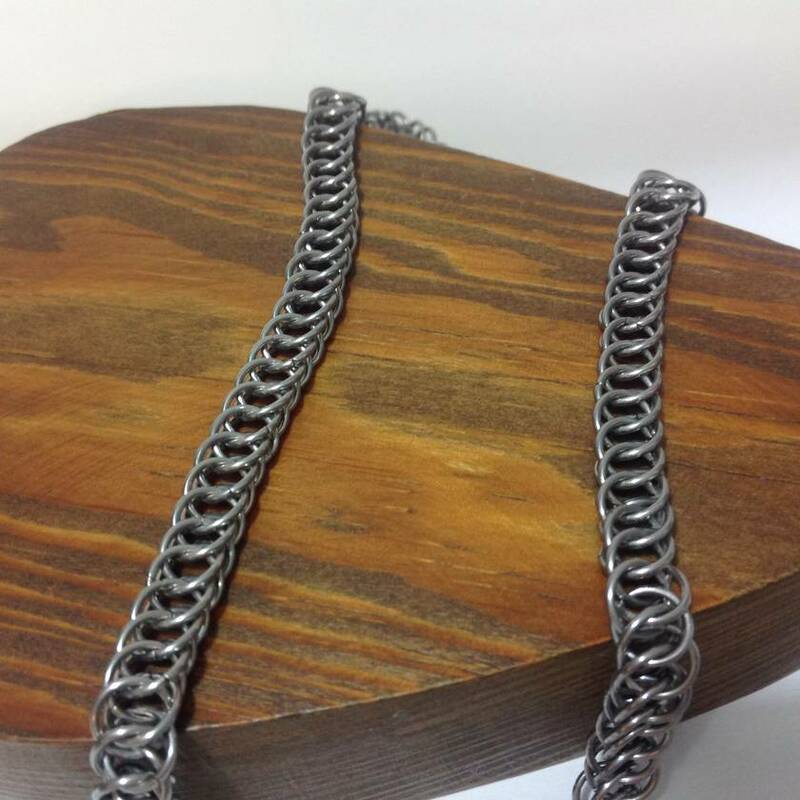 The chain is hand woven with durable stainless steel which means the chain will not tarnish or lose its finish. Your wallet chain will arrive in a black mesh bag. This item will be sent by NZ post with tracking. Shipping is included in the price for New Zealand. If international shipping is required please contact me and I let you know the cost.